The Mahdia was an important Islamic millenarian movement of the Nilotic Sudan in the last two decades of the nineteenth century. It contributed substantially to the emergence of the Sudan as a nation-state in the twentieth century. 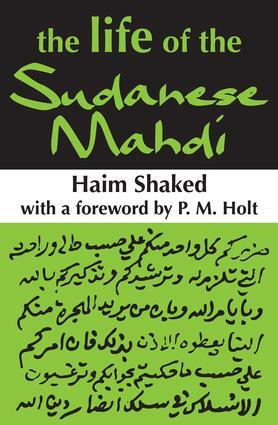 The Mahdi's family and heritage played a major political and cultural role in the Sudan, both before and after independence.This volume begins with introductory material on the Mahdia and a biographical sketch of the author of the Sra, followed by discussion of composition, acquisition, sources, and literary features of the account. The text itself presents a condensed paraphrase of the account while retaining the spirit of the original document. It pays special attention to preserving historical events. Appendixes include full transcriptions of the main source materials for the biography, two photographic reproductions of the handwriting of the original Arabic manuscripts, and an annotated list of the Mahdist proclamations and letters transcribed in the original Arabic text of the Sra.